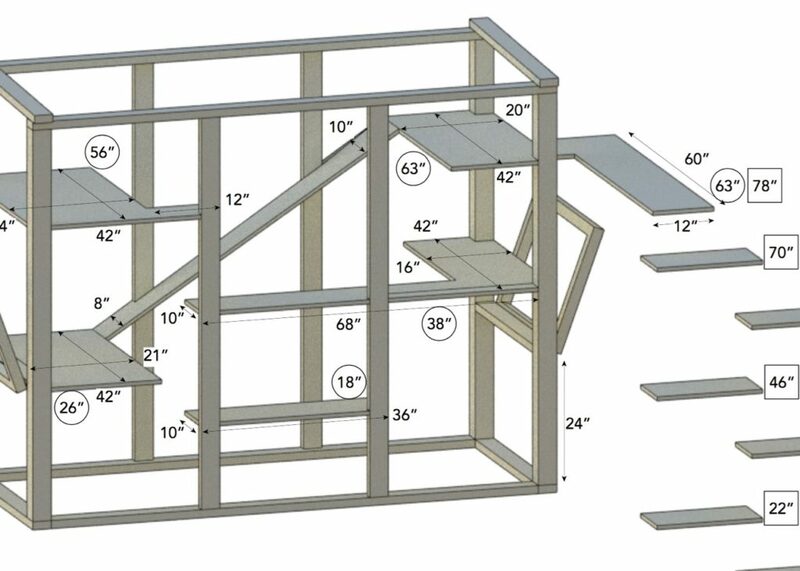 At Custom Catios, our specialty is building outdoor cat enclosures that please humans as much as felines. Cats love outdoor sounds and smells, basking in the rays of the sun, watching the birds fly by and the squirrels run by, and napping the night away. Cat owners, however, generally want three things: happy cats, safe cats, and aesthetically pleasing catios. While most catios can claim to meet the first two demands, Custom Catios is by far and away on the cutting edge when it comes to the latter. 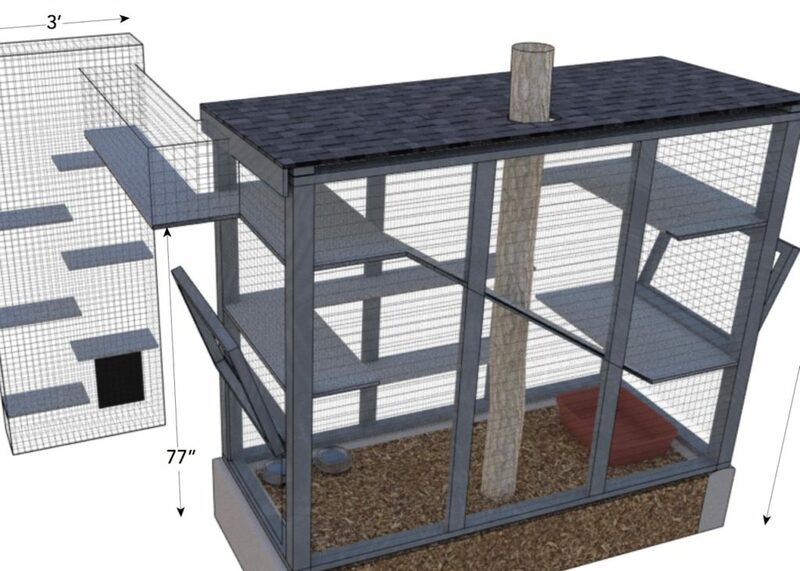 In fact, rarely does one see a custom built catio. 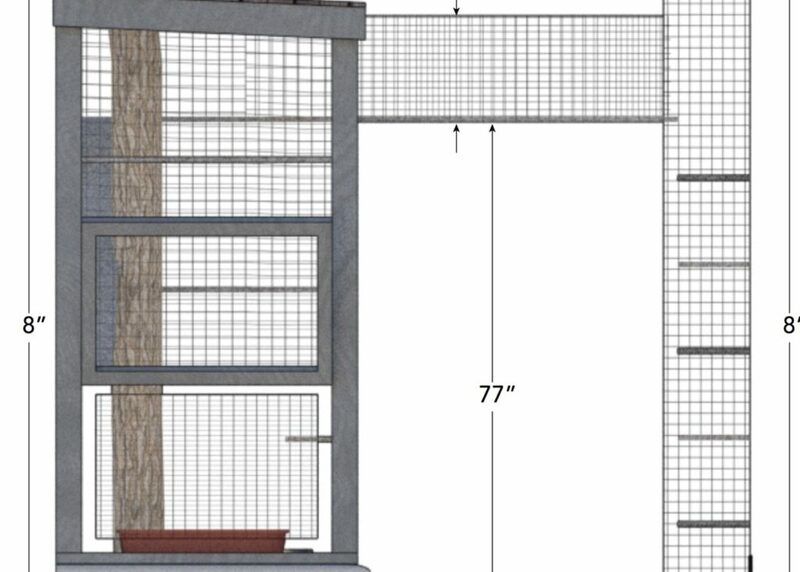 Even rarer is a professionally designed catio. Rarer still, a catio with multiple designs. From our perspective, it is imperative that our clients know and love what they are getting ahead of time. Below are the multiple design drawings created by our professional architect that we provided a client in Tarzana. And because this was a fairly difficult project to grasp with three separate distinct elements, we also provided a 3D video! Remember, no eyesores allowed at Custom Catios!